Here at the Osbourne Hotel we like any excuse to party. So when Easter comes around, you know we have to join in the festivities! The fun doesn’t just have to be for kids. 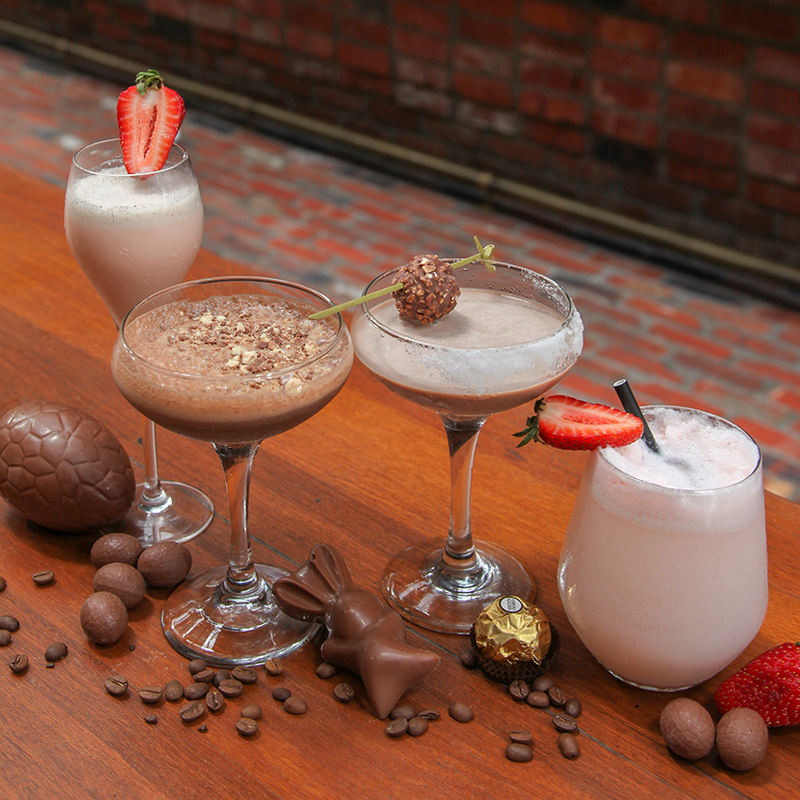 That’s why we have concocted up some delicious chocolatey, Easter inspired drinks for us big kids to enjoy. The Easter Bunny has come early because we are celebrating all week long in the lead up to Easter. Thanks to Mozart and White Rabbit Brewery we have five sweet mixers that will be sure to give you a sugar fix! Simple and classic. An adult version of a strawberry milkshake, enjoy a blend of Mozart White Chocolate Cream Strawberry liqueur and vanilla ice cream, topped with fresh strawberries. The perfect appetizer to get your Easter celebrations started! More the spider (soft drink and ice cream) type as a kid? Then this cocktail is the one for you! The perfect mix of fizzy and rich, sip on Mozart White Chocolate Cream Strawberry liqueur, Botanist gin, lemon juice, sugar syrup, egg white and soda. Just like Easter, the Mozart Strawberry Fizz is a little quirky and fun, making it all the more delicious. For all things sugar, spice and chocolate you cannot go past this! Indulge in a tantalizing blend of Mozart Chocolate Cream Gold liqueur, Mount Gay Eclipse Rum, cream and cinnamon syrup garnished with Ferrero Rocher chocolate. YUM! Caffeine and choc, there is no better combo! Treat yourself with tastes of Mountain Gay Eclipse Rum, Mozart Chocolate Cream Gold liqueur, vanilla sugar syrup and espresso for the ultimate Easter coffee. Finished with a Malteser sprinkle, this Easter cocktail is sure to get you feeling hoppy! After a chocolate rush but cocktails aren’t your vibe? We’ve got you covered! The boys at White Rabbit Brewery bring you their Chocolate Stout. A delicate blend of premium brandy along with rich Pana Chocolate, produce a smooth, velvety stout with distinct chocolate undertones. The perfect beer + bunny hybrid, just for Easter. Drink specials available for one week only from Saturday, April 13thuntil Saturday, April 20th, join to celebrate Easter at the Os!